Fondy Heating is proud to serve the North Fond du Lac community! 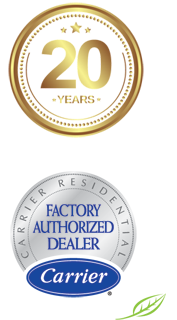 About North Fond du Lac, WI - Happy to be your hometown Heating & Air Conditioning Contractor! North Fond du Lac is a small village in eastern Wisconsin. It is positioned along the banks of Lake Winnebago in Fond du Lac County. The United States Census Bureau reported approximately 5,070 people lived in North Fond du Lac in 2017. North Fond du Lac is estimated to be the largest village in Fond du Lac County. Individuals who visit North Fond du Lac will discover a small, charming village. It features many community facilities and amenities like the Village of North Fond du Lac Spillman Library, Lakeside Municipal Court, and the North Fond du Lac School District. Also, North Fond du Lac features charming neighborhoods, beautiful parks, and locally owned businesses. In the Village of North Fond du Lac, individuals enjoy a wonderful quality of life in a charming Wisconsin village. Professional HVAC technicians recommend individuals living in North Fond du Lac have access to cooling and heating systems inside their homes. The village is in a region of the United States that experiences mild summers and very cool winters. Central air conditioning units and heating pumps are best equipped to cool and heat homes in the village. During June, July, and August, the average daytime temperature highs range from the upper-70s to low-80s. Temperatures will rise to the upper-80s when heat waves pass through the village. In the presence of very warm temperatures, central air conditioning units provide sufficient cooling power to North Fond du Lac homes. In addition to cooling units, individuals living in North Fond du Lac should have heating systems installed in their homes. North Fond du Lac is susceptible to extremely cool temperatures during the winter seasons. The average daytime temperature highs range from the mid-20s to low-30s in the village. At night, temperatures drop well below freezing. Also, snowfall is common in North Fond du Lac. Systems like heat pumps provide the necessary heating power to village homes. During the harsh winter seasons, the systems can literally be lifesavers to individuals living in North Fond du Lac, Wisconsin.